DJ - Competitive Gaits for the CDI Ring! Fredensdals DJ is a 2009 Imported Danish gelding sired by Blue Hors Doolittle/Blue Hors Don Schufro/Donnerhall, Dam’s sire Stedinger/Sandro Hit, standing at tall, dark and handsome 17 hands. 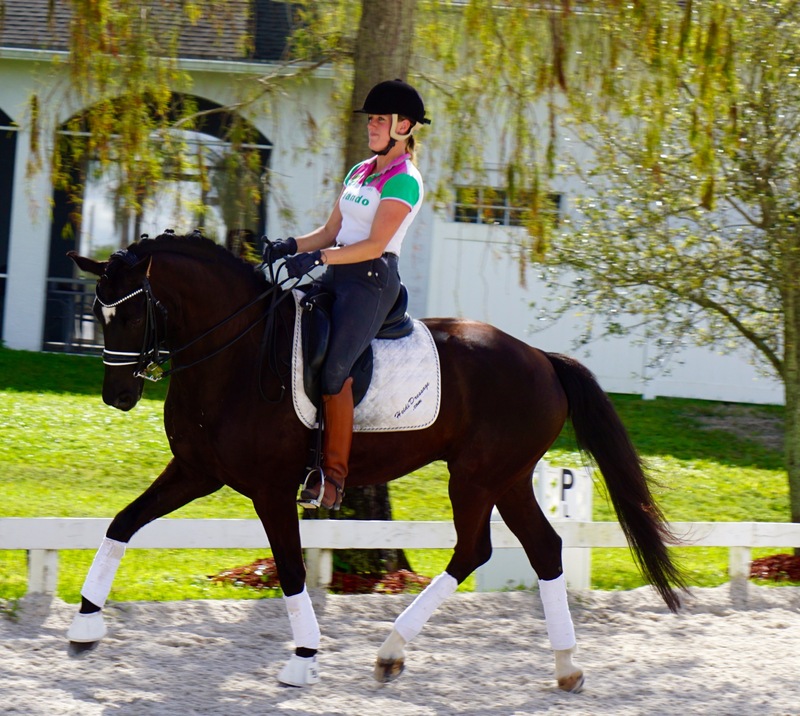 Around the barn he is affectionately known as DJ, he has been shown through Third level in USA, and is currently schooling Prix St. George and Intermediate-I. DJ also has the aptitude and talent for a great Piaffe. 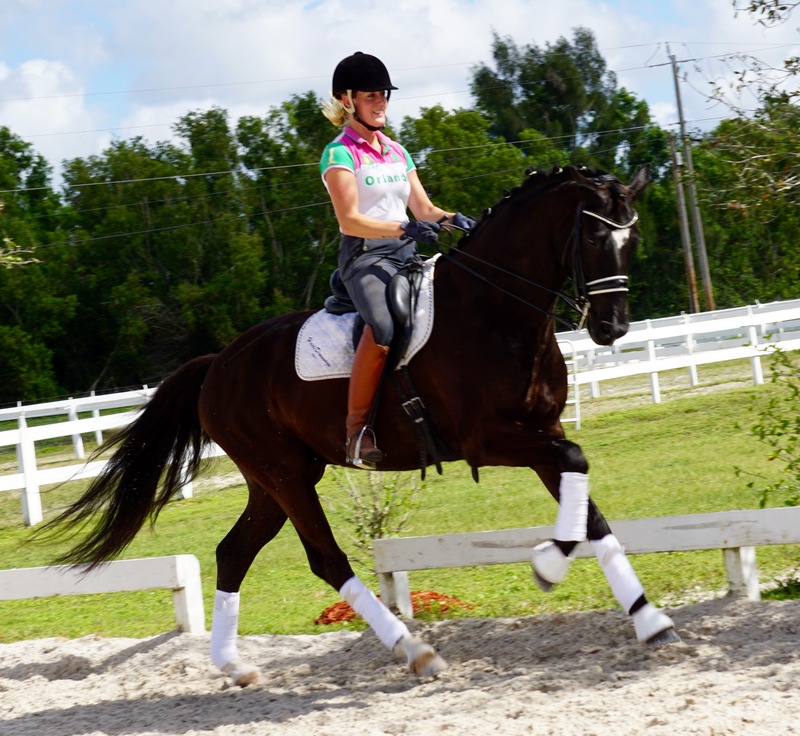 He is elegant, easy to ride with a sporty type about him. 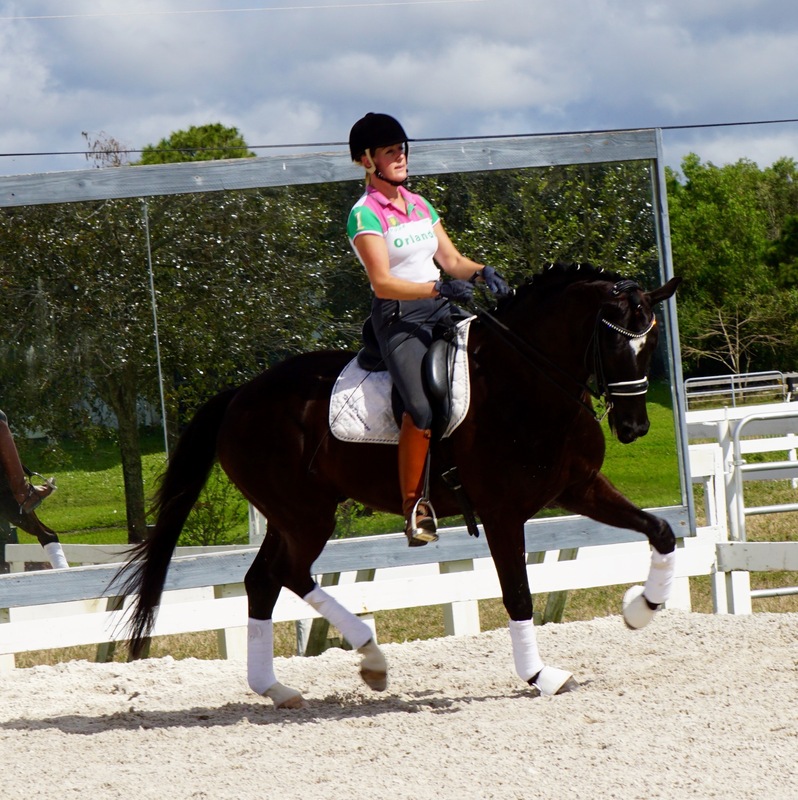 He has competitive gaits for the CDI ring. 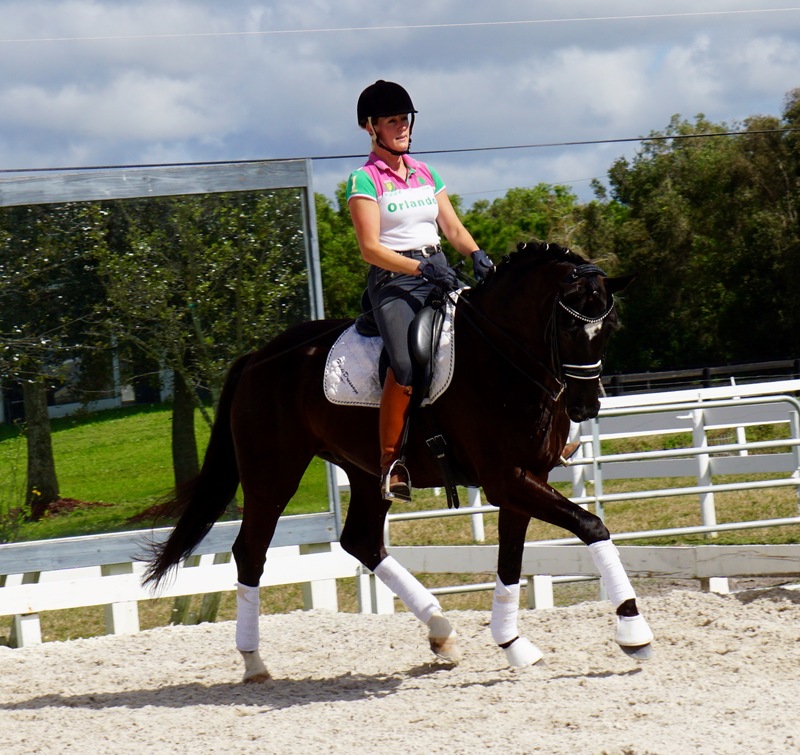 He is very willing to work with easy flying changes and tempi changes. He is straight forward and AA friendly. He would be great JR, YR, and/or AA.